When Germany invaded Czechoslovakia in 1939, the German military dictated the output of Tatra factories. Before you is an interesting project that was designed for war use only. 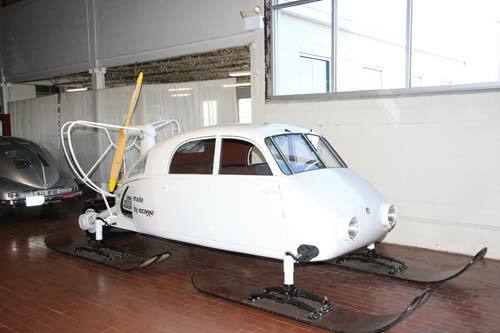 The German military wanted Tatra to develop a vehicle that could move people across the vast snowy plains of Russia. Tatra began work on the Aeroluge in 1942. The few records that exist from that era seem to indicate that the Aeroluge was completed and went through some preliminary testing. It’s quite possible that initial testing exposed many inadequacies and the war ended before further development could take place. Tatra built only one Aeroluge and it is in the Tatra Museum in Koprivnice, Czech Republic. This fully functional replica was built by Tatra specialist Ecorra in the Czech Republic over a five-year period; it was completed in 2008. 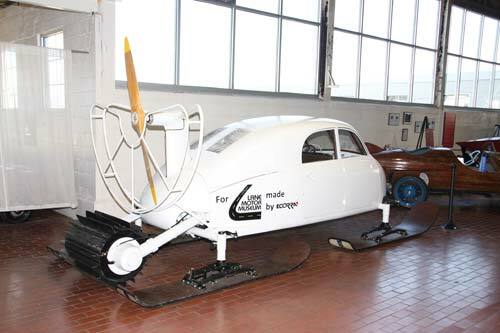 How it works… The propeller was designed to move the vehicle once it gets up to a certain speed. The drum on the back helps to get the vehicle moving and climb hills. 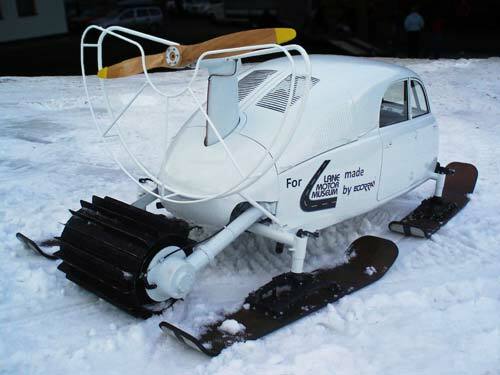 The brakes are very interesting, as when the brake pedal is pushed, the front skis skew inward to a snow plow position. Also, there are pins that push down through each rear ski and a small brake drum on the rear drive drum to assist in the braking. The drum has three speeds at which it will turn, but the propeller is coupled directly to the engine. How you drive it… Driving the Aeroluge is slightly complicated. First, lower the drive drum by cranking the small inside steering wheel in front of you, then engage first gear and pull away. 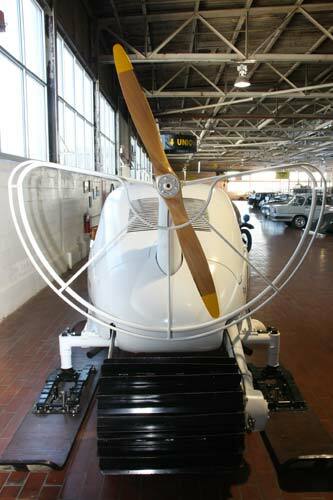 If you are on level ground, the drive drum can be cranked up to 10 mph and the propeller will push you. If the terrain is hilly, the drive drum can be left down and the three speeds that are available can be used. Top speed is estimated to be about 48 mph. Stopping is quite simple; just push the brake pedal. When Ecorra initially undertook construction of the Aeroluge, the body was believed to be a modified T-87. Further research proved this to be untrue, although the doors and the engine are directly off a T-87 automobile.